When the fledgling Beatles went to Hamburg in 1960, they had no idea what it was preparing them for. They mixed with gangsters and prostitutes. They slept in appalling conditions behind a cinema screen. And they did it for the chance to pound out beat music in strip clubs and shady venues like the Indra, the Kaiserkeller, the Top Ten, and the Star-Club. It was the boot camp for forging what Paul McCartney would later call “a really tight little band”. In Hamburg they wore black leather, adopted a new hairstyle, lost their bass player, sacked their drummer, developed a gritty repertoire of raucous rock ‘n’ roll songs, were arrested and got deported. 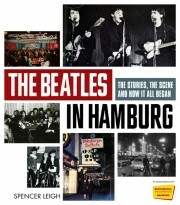 The Beatles in Hamburg provides an in-depth portrait of the band during their Hamburg residency. It features interviews with their friends and contemporaries, including photographers Astrid Kirchherr and Jürgen Vollmer, bass player Klaus Voormann, Liverpool artists Gerry Marsden and Kingsize Taylor, singers Tony Sheridan and Roy Young, club managers Horst and Uwe Fascher, and many more. 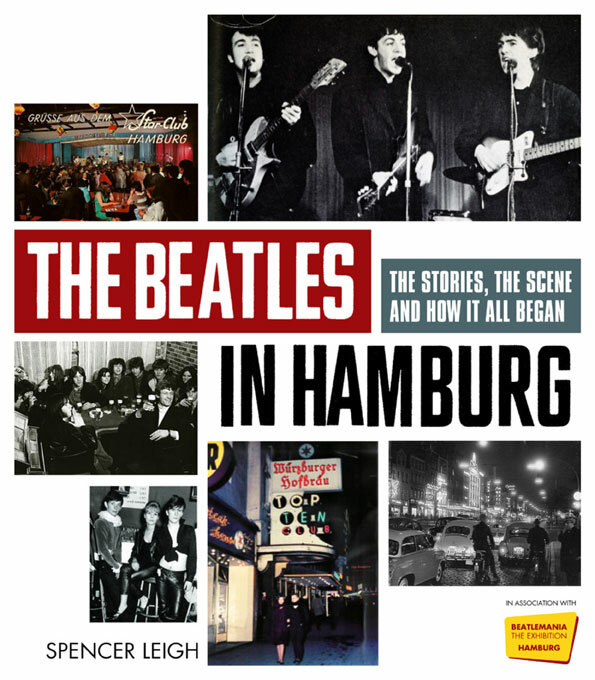 With close to 200 photographs of the Beatles and the Hamburg scene – some in full colour and several never before seen – this is a richly atmospheric account of the period that gave the Beatles the experience, the edge and the stamina to go on and conquer the world. Revelatory … required for any Beatles aficionados … it should also be fascinating for those intrigued by early 1960s musical subcultures. Spencer Leigh has succeeded in conveying the spirit of the period with great accuracy. He writes in an authentic, sensitive and honest manner, and all with a good touch of British humour. Full of facts, photographs, and old and new quotations from those who were there.